Imagine this – You are on a look out for job change. You are searching for some good openings in leading news papers and job portals. Not a single job that matches your requirement and your qualifications. On the other hand you happen to meet an old friend who has recently got a good job from a company in which you were seeking an opportunity. Your dream company to work for! And you start wondering from where did he have this opportunity? It was not posted in any news paper nor any job portal and your recruitment consultant is absolutely have no idea about this company is in need of such position. But the job position did exist and it is filled. With a dismay in heart but a fake smile on your face you congratulate your friend and casually ask- From where did you got to know about this opportunity? The answer your friend gives- Through Networking! This is the power of networking in this 21st century for career success. Networking has become important for your professional career success, whether you admit or not. So if you are not a good networker chances are that you will lag behind. Just have a look at these Google search results – “Importance of networking in career” 2670 results, “Importance of networking in career development” 479 results, “Importance of networking in job search” 10,500 results, “Networking for Career Success” 2,22,000 results.. Did you notice these results are in”…… “i.e. exact words matching results. Sounds interesting? Get started, start building your network. Ask any senior executive, politician or successful salesperson which single skill or habit helped them excel in their career – an overwhelming majority will respond with one simple word… Networking. 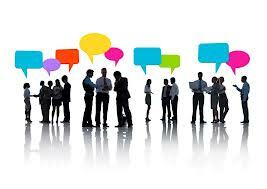 In a nutshell Networking is important in all career fields and at all professional levels. Once you have made these contacts it can be difficult to know how they could help you and what you should be asking them! This will probably depend on what stage of your job search you are at. If you are deciding what sort of career area might be right for you try the following sorts of questions? What is the biggest reward you get from your job? What is the main reason people leave the job? Can you describe some actual examples of the sort of activities that your job involves? What background experience is useful and how do people typically obtain it? Are there any particular types of experience or any courses that would be helpful to get into this area? Where and how are vacancies advertised? What are the most important current issues in this sector? Looking at the next 5 years, what do you think the main challenges facing the industry will be? What would you look for on someone’s CV? You may decide that you know your contact well enough that it is appropriate to ask for favours. Make sure you consider this option carefully, as you don’t want to risk causing offence and risk losing a potentially helpful person in your network. Are there any opportunities for work shadowing / voluntary work with you? Would it be possible to let me know if anything comes up which might be suitable for me? Who else do you think it would be good for me to talk to? With this new knowledge which you have learned and acquired the skills of networking, you have taken the first step for your professional career success. I am sure in coming months you will also get the dream job and some other friend of yours will start wondering from where did he have this opportunity? Do tell him about your new acquired skills of Networking. Let’s spread networking! If you’re unhappy in your career, then you’ve likely toyed with the idea of starting over. But maybe your fears of the unknown are holding you back. That’s a perfectly natural and positive reaction. Anyone who jumps headfirst into a new career without a bit of fear isn’t being smart. The way to push past this fear in the beginning is to ask this all-important question: “Will I regret not going for it?” Will you look back on your life in five, ten, or twenty years and think, “If only I’d taken the initiative to start over when I was (fill in the age)”? You have plenty of time to start over now and build a new career. Don’t live with regrets. You have to try in order to find out if you can succeed. Living authentically and without pretense or the need to please others. I prioritize these 5 things over expensive material things like cars, furnishings, jewelry, etc. And I prioritize them over trying to impress others, having a powerful prestigious job, or making a huge income at the expense of my inner peace or happiness. That is where I am in life, but YOU must determine what is most important for you. Starting over in a career may involve some initial sacrifices, so you must decide what you can and can’t live with. Do you have a chunk of money put aside for retirement and savings? Could you afford to take a salary cut if necessary or take some time off to go back to school, build a business, or look for a new job? Would you be willing to downsize your home if necessary in order to have a new career? 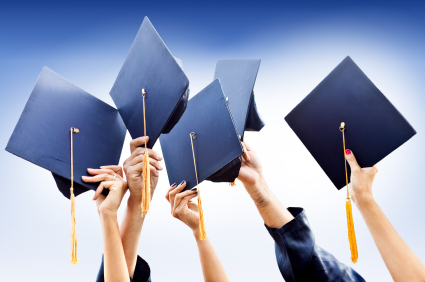 Do you still have college or other expenses for your kids? Is there a way for you to work part-time or take a side gig? Could your spouse go back to work? 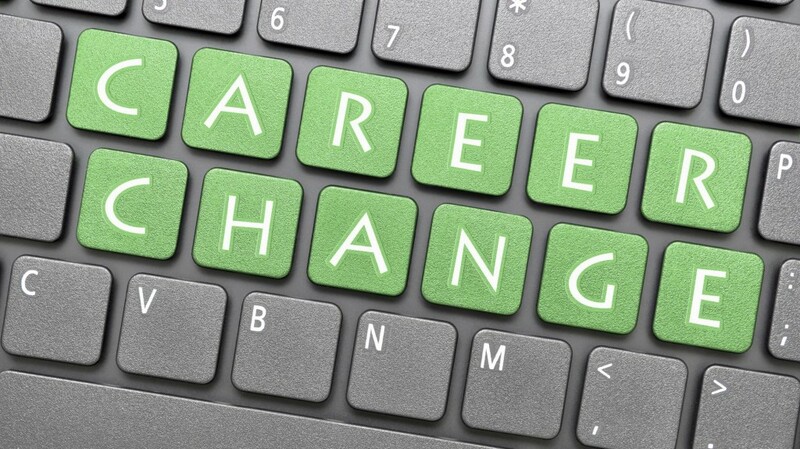 All of these questions help you prepare for the financial realities of changing careers. Once you are 30 or beyond, you’ve likely built a life that is financially and personally complicated. It will cause short-term discomfort to arrange your life and finances to prepare for a career change if it means truly starting over. Even if you change careers to an industry where your skills and experience make the transition smooth and less risky, it’s always smart to be prepared financially and have a back-up plan. If you’ve prioritized meaningful, passionate work as one of your top life priorities, and you don’t want to live with the regret of never trying to make a change, then the relative short amount of time it takes to prepare your finances and save money will be well worth it in the long run. It might take a few years to do this, but you’ll have a lifetime to enjoy a career you love. Spend some time thinking about the career you have now that you want to change. Make a list of “things I hate about my career” and “things I love about my career.” The hate list will be longer, but there must be a few things you want to carry over to a new career. Be crystal clear on what you want to take with you and what you want to leave behind. This is valuable information as you work toward a new career. Also, be sure it’s the career itself that’s causing the dissatisfaction — not the work environment, the people you work with, your particular job within the career, or the particular organization. Taking a career assessment will help you clarify this if you haven’t done so already. If you’re going to make a change, this is a good time to decide whether you want to work for yourself or for an organization. If you know you’re more comfortable in a secure and predictable environment, then working for an organization is likely the best choice for you. If you long to make your own decisions, have flexibility, don’t mind taking personal responsibility for your success, and are willing to live with a certain amount of uncertainty, then you might love being an entrepreneur. If you aren’t sure whether or not you want to be an entrepreneur, check out this assessment to help you. Before you launch into a new career, be sure it’s something you’re going to love to do day in and day out. You don’t want to switch careers only to be in the same dead-end kind of job you have now. Spend time learning about yourself, what skills you find deeply satisfying and fun, and what you’re naturally wired to enjoy. Before you even think about the financial potential or what it might take to get a job in a particular field, find the thing you love. The energy and enthusiasm of finding your passion will propel you to find a way to make it happen. If you need support and guidance in finding your passion, check out my Passion which leads you through all of the steps of learning more about yourself, your aptitudes, your inner roadblocks, and the steps you need to take to actualize your passion in a career. This is the biggest mistakes done by students during Group Discussion. Sometimes topic is close to their heart and hence they sway from the topic. They usually get emotional while discussing such topics and thus, tend to forget for a while that they are being evaluated. They aggravate other members on purpose, once they find out what a person is particularly touchy about. This is one of the common mistakes done in group discussion and personal interview. In some cases students enter the room determined to talk non-stop without considering what they are saying. Other candidates do not get a chance. But they end up forming a negative impression upon the panelists and sometimes the rest of the group. 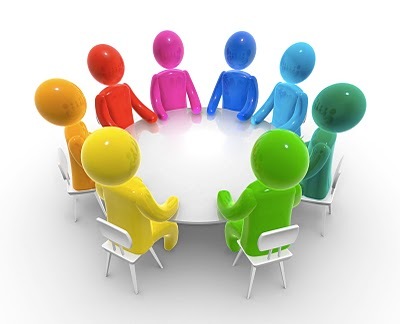 Moreover, unless you make a meaningful contribution to the Group Discussion, the panelists know that you are speaking just for the sake of it. You cannot prioritize quantity over quality. Sometimes student show that they have a good knowledge about topic and they underestimate other students. Hence ensure that you are not among those students who get plagued with their own insecurities and consequently do not give themselves a fair shot. Students usually complain that the other participants were too good and they could not even think of competing with them. Have some faith in your capabilities and do not let such thoughts keep you down. Many students participate in GD and PI without working on their language, accent, grammar and communication skills. Sometimes even if students study hard, they are not able to talk properly which makes it impossible for them to communicate the knowledge they have. Students lacking communication skills are nervous in their GD and PI rounds. To make a valuable and meaningful contribution you need to work on your communication skills. Assessment is not only on your communication skills but also on your ability to be a team player. Evaluation is based on quality, and not on quantity. Your contribution must be relevant. Avoid all these common mistakes in group discussion and personal interview. First chemistry study tips is to study very carefully as it contains chemical reactions, formulas etc. which is very difficult to remember and recall. It needs to be practiced everyday. So remember that you may require more time to study chemistry but don’t study it in hurry. For example, it may take you 50 minutes to master 5 pages of chemistry textbook. To improve your concentration, break up your assignments into smaller tasks. For example, most students concentrate better when they read 5 pages in one sitting versus 20 pages. Read actively, think and understand everything that you study. For better understanding, you should also summarize and note key ideas in the margins of your text. When you read and make notes on your textbook, ALWAYS summarize and explain the formulas because these are as important as the words in the text. As you read and study, identify what you know and what you don’t know. Keep a list of questions so you can seek the answers. To prepare for the exam, take time to solve a SIGNIFICANT number of problems. The more problems you solve, the better you will perform in the exam. That means you should solve more than two problems for each equation or formula. Your textbook has many problems and sample problems are also available in the test papers. As you work on problems make sure you are able to answer this question: WHAT KIND OF PROBLEM IS THIS? WHY? One way to test yourself is to check if you can identify and solve a variety of problems of Chemistry. You will come to know where you lack in the Chemistry Subject. You can take help of the above chemistry study tips to learn chemistry and achieve your goal. If you work hard and utilize all of your resources, Chemistry will be a pleasant experience for you! ! !